Dr. Walker grew up in Colorado Springs, Colorado. She left this beautiful state to attend St. Olaf College in Northfield, Minnesota for her undergraduate degree in biology. 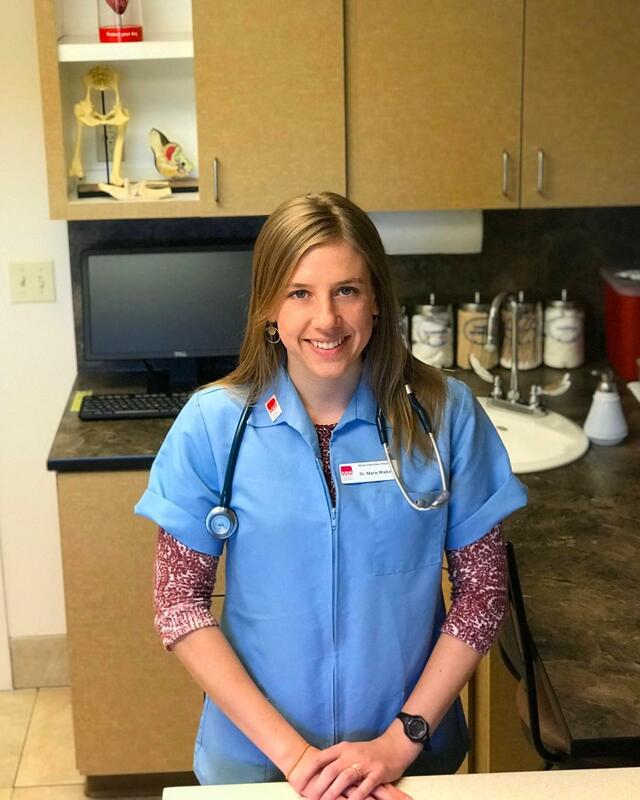 Returning home to Colorado, she completed her Doctor of Veterinary Medicine degree at CSU's College of Veterinary Medicine. She's a fear-free certified practitioner and is passionate about promoting the human-animal bond through superior client education and low-stress patient care. She lives in Denver with her husband, and their stubborn and hyper mixed-breed dog, Ellie. In her free time, Dr. Walker enjoys competing in triathlons, singing in choirs, reading murder mysteries and exploring the Colorado Rockies with her family.